Now that's a lot of T's. I've been wanting a white or cream shirt that has texture, that I can just layer under cardi's and jackets. Most of what I've been seeing has been more expensive than I like, so I decided to make my own. I ordered 2 of the same shirt from Forever 21 ($6 each) and in 2 different sizes, since their sizing is somewhat inconsistent for me (not to mention my growing pregnant belly). 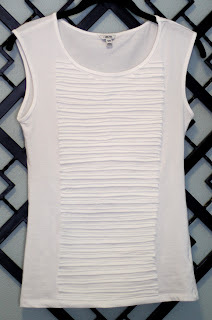 I like the material of this shirt--it's a soft somewhat dressier jersey knit and a scoop neck that is not to low for bending over and picking up a toddler. Not to mention it's long enough to cover my enlarge abdomen for at least another month or two! 1. 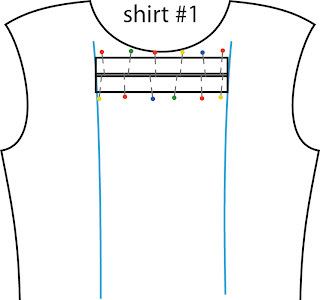 Using an erasable fabric marker (the kind that disappears with water) and a ruler, mark down the sides of shirt #1 where you want your edges. In the last 2 photos you can see that the texture is a panel down the middle, doesn't go all the way accross. You can also see that I skipped this important step myself and tried to eyeball it. 2. 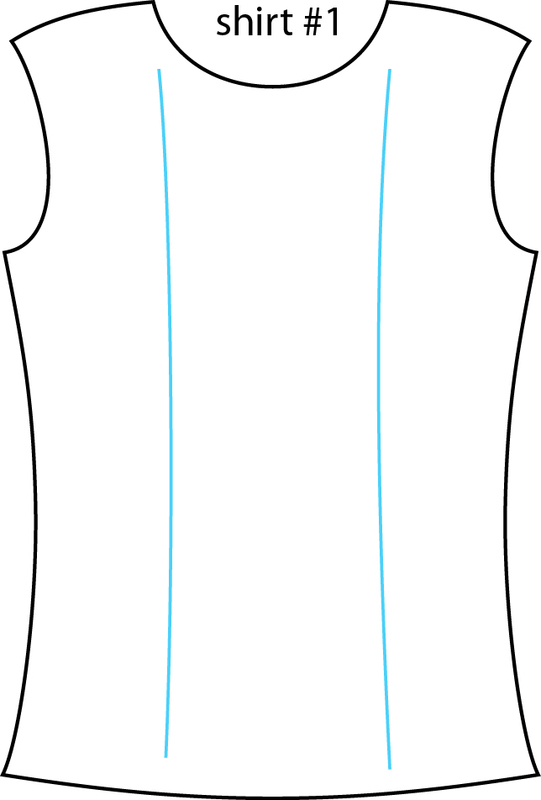 Cut shirt #2 up the side seams so that you can attack the front and back of the shirt separately. 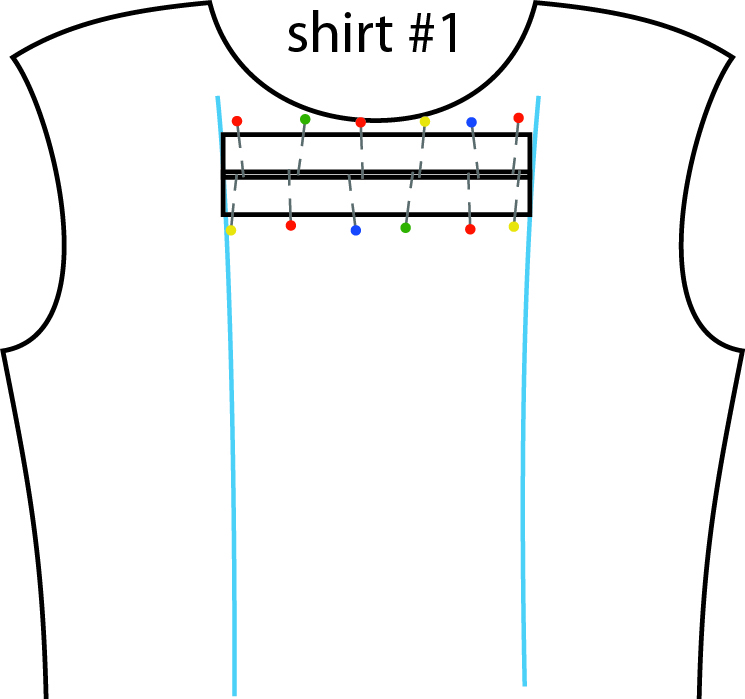 Using a solid cutting edge (metal ruler) and rotary blade, cut shirt #2 into horizontal strips about 3/4 of an inch in height. 3. 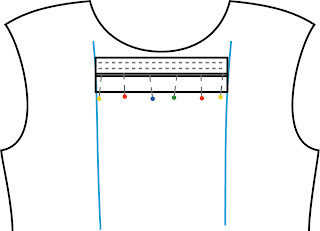 Measure the width of your proposed panel on shirt #2 and trim all your fabric strips to that length. 4. Pin one fabric strip onto shirt #1 at the top. 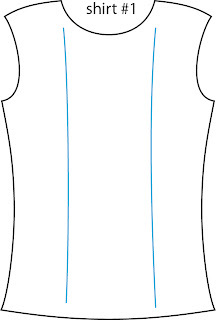 You will quickly see how the jersey knit curls up at the edges. I used about 6 pins per fabric strip. 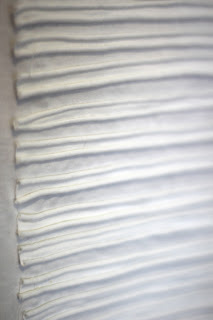 Line up your next fabric strip so that the edges touch the first strip of fabric (and you can even slightly overlap them since they will curl). Repeat again and again and again. 5. 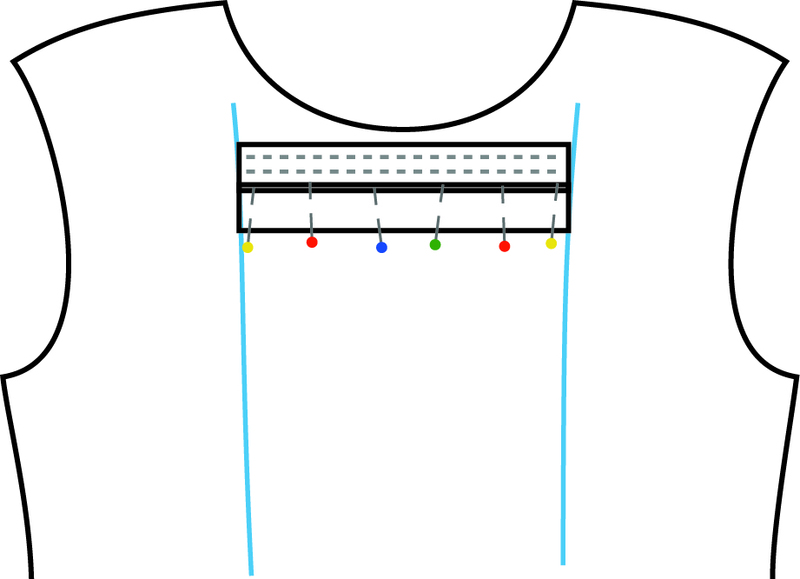 Sew two lengths of stitches parallel all the way across the shirt on each strip of fabric. 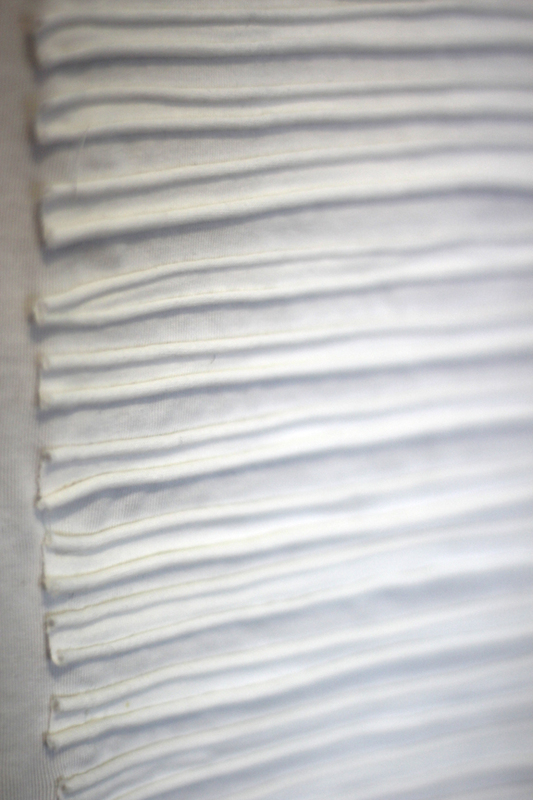 Trim all your threads. Repeat again and again and again. 6. Using water, erase you guide lines and then congratulate yourself on a job well done! p.s. I think this would also be cute if you only took the texture 1/3 of the way down the shirt for a tuxedo effect. p.p.s. You could use another matching material besides jersey knit, like layers of matching colored linen, or chiffon, or cotton, etc. Something that won't fray though. Love the texture! You did a great job!! OH. MY. GOSH. i LOVE this!!!!! MAN, i wish i had a sewing machine!! All the things I would do! Or at least I'd have a nice big pile of things to think about doing ;). This is so cool! Why aren't I as motivated or organized as you? This is so STINKIN cool! .. WOW! Found you via pinterest! i love this look, but wondering, did you have to split open the side to do the stitching on the texture strips? i would imagine it would be kind of tricky sewing horizontally on a T-shirt. Love the texture! Really changes a plain t into something cute and chic.. thanks for the tutorial!